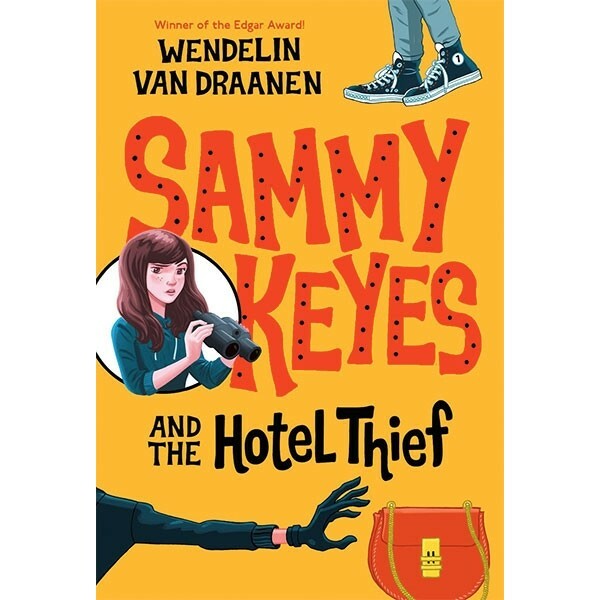 Sammy Keyes is perusing the neighborhood through binoculars when she spots something fishy at the Heavenly Hotel. She's sure she's just seen a robbery, now she just has to prove it. Now in Knopf Paperback, is the first book in the exciting new series of middle-grade mysteries starring the smart and spunky seventh-grade ace detective. Look out Harriet the Spy! 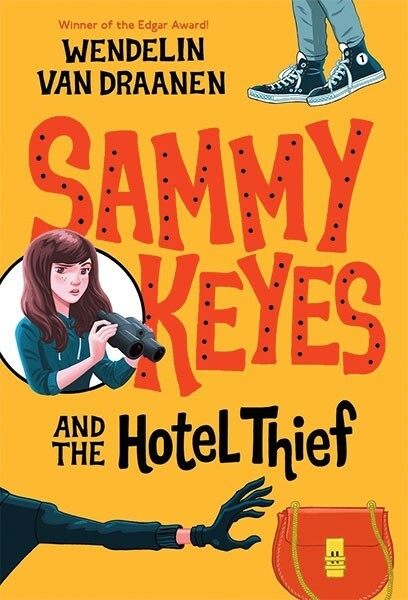 Here comes Sammy Keyes, a resourceful, brave, too-curious-for-her-own-good young sleuth who gets into trouble with her grandmother's binoculars. Sammy was just killing time when she looked across the avenue with the binoculars. She certainly didn't imagine that she would see a thief in the act of stealing something from one of the rooms at the Heavenly Hotel. The worst part is that the thief saw Sammy spying! And what did "smart" Sammy do then? She waved at the thief! Now Sammy is in loads of trouble. Can she solve the mystery of the hotel thief before the thief finds her and before the police discover that she has been living illegally with her grandmother? (Oh, don't ask--it's just another stressful situation in this young detective's life.) Teens of all ages, shapes, and persuasions (especially reluctant readers) will adore Sammy and her crazy adventures. She is much more than a brilliant detective: Sammy Keyes, who is curious in all the right ways, is the sort of person you'd love to have as a friend.